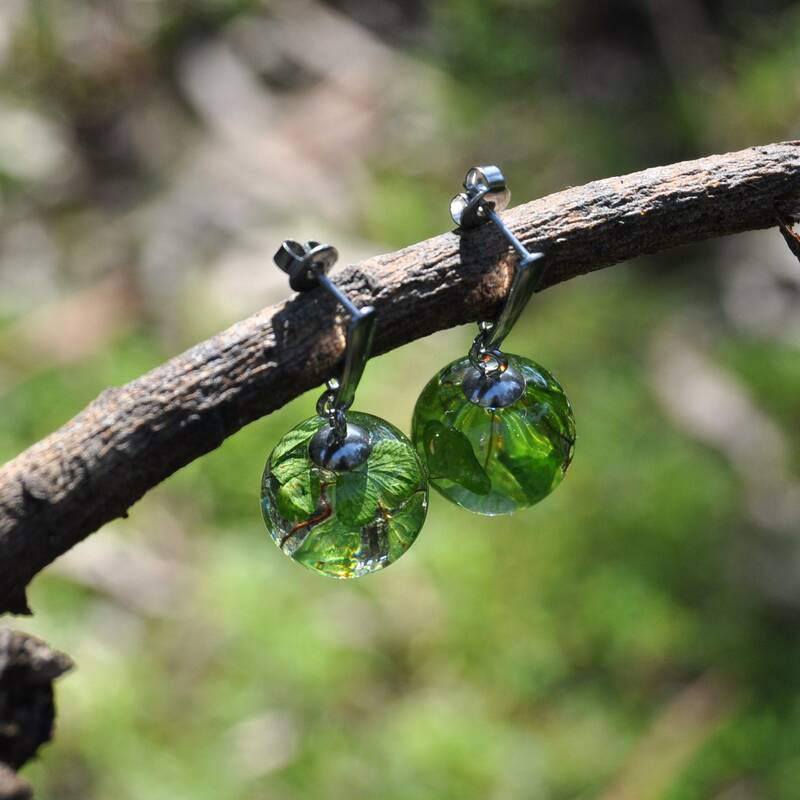 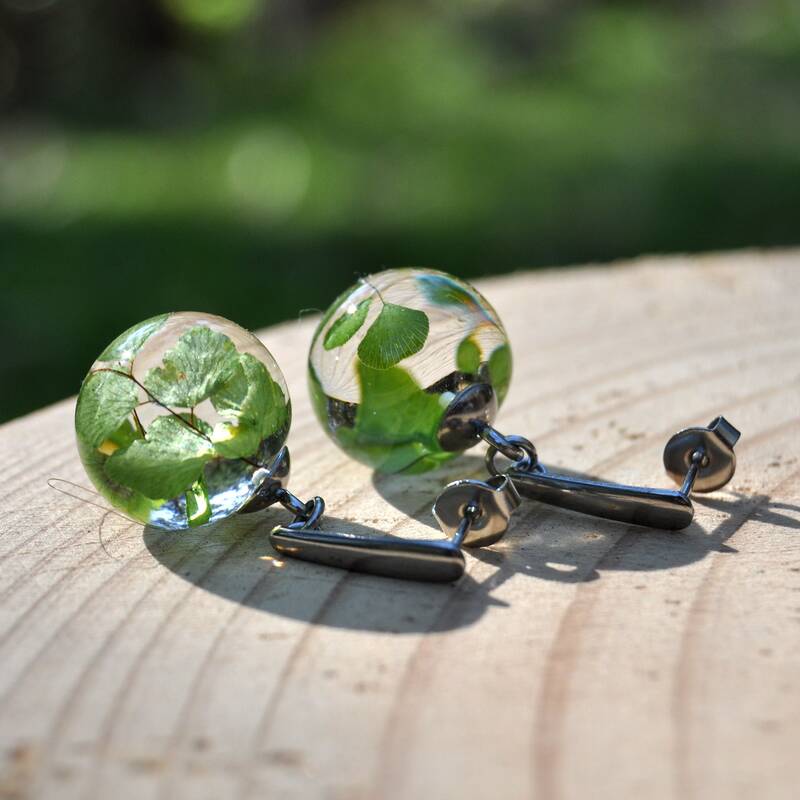 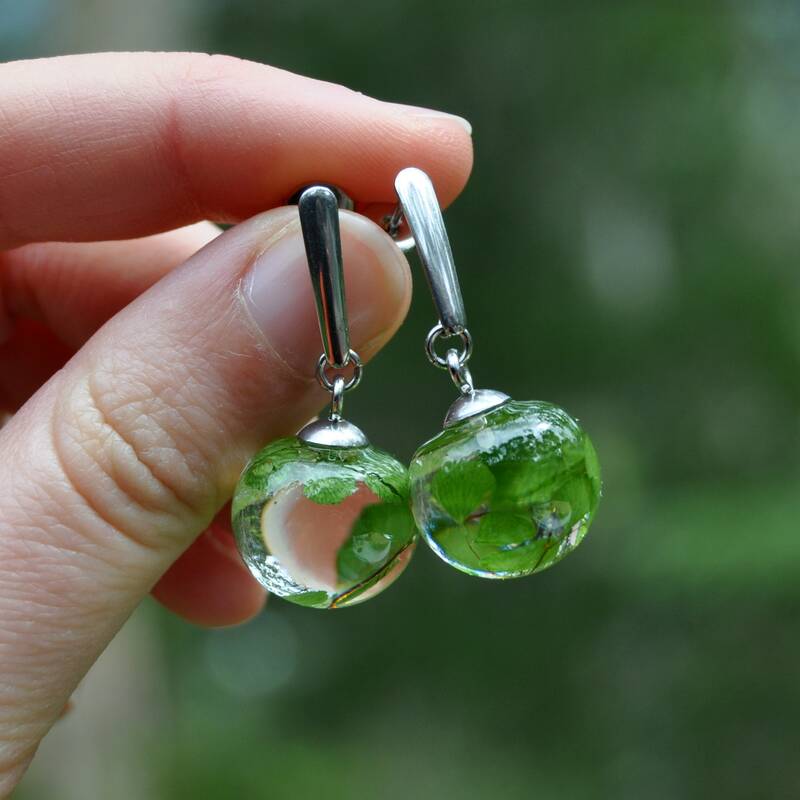 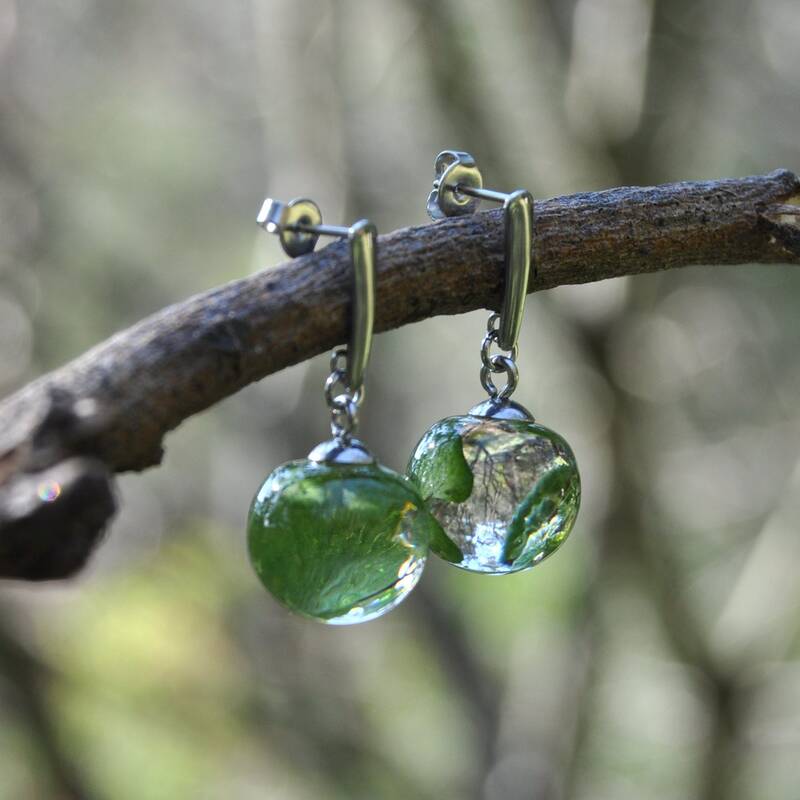 These beautiful drop stud earrings are made with real Maidenhair Fern and clear eco resin, which has been cast into a semi-sphere shape. 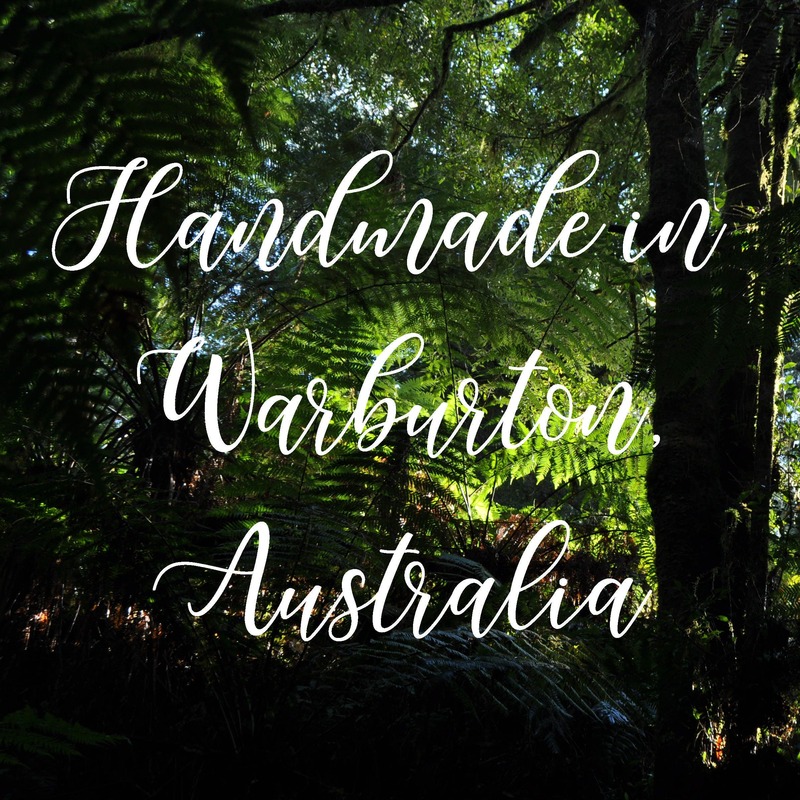 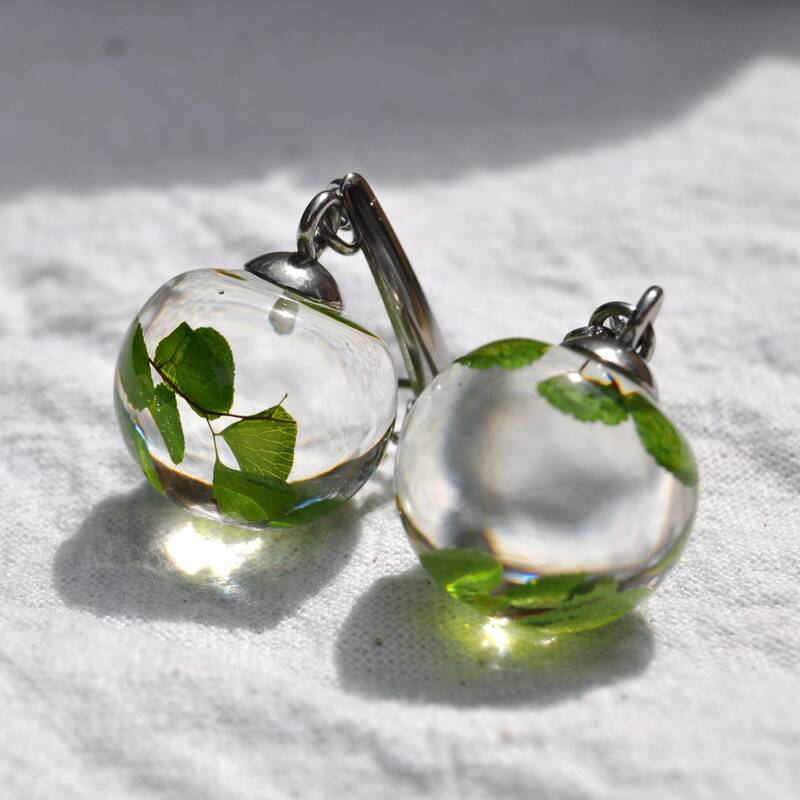 ♥ How it's made: Each handmade drop contains small pieces of pressed Maidenhair Fern, which have been carefully dried then fully encased in a layered resin sphere. 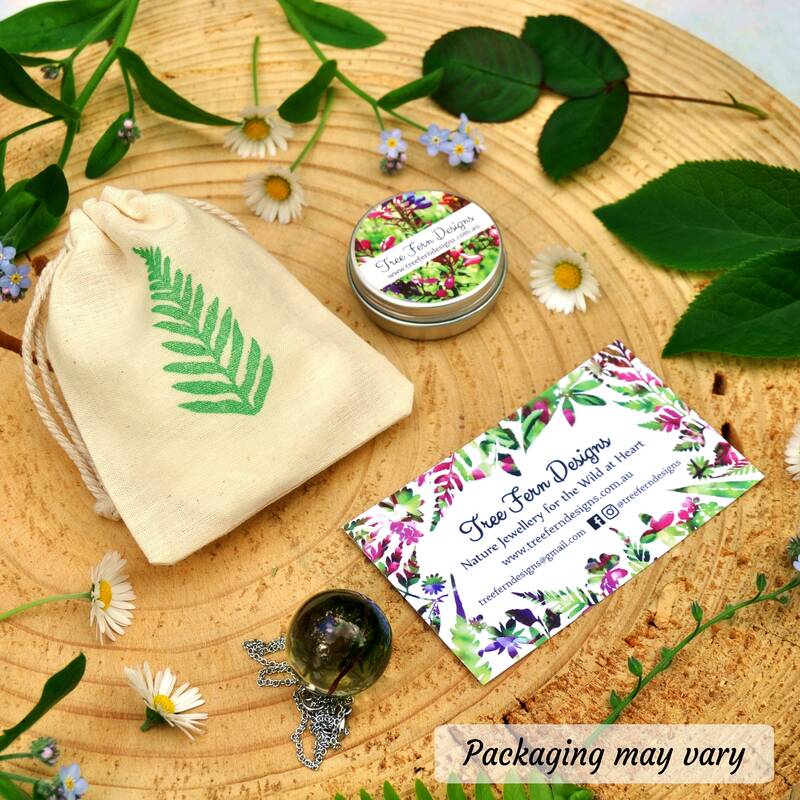 The special layering technique I use is a time consuming process, however results in a higher-quality and long lasting piece, which fully protects the embedded botanicals. 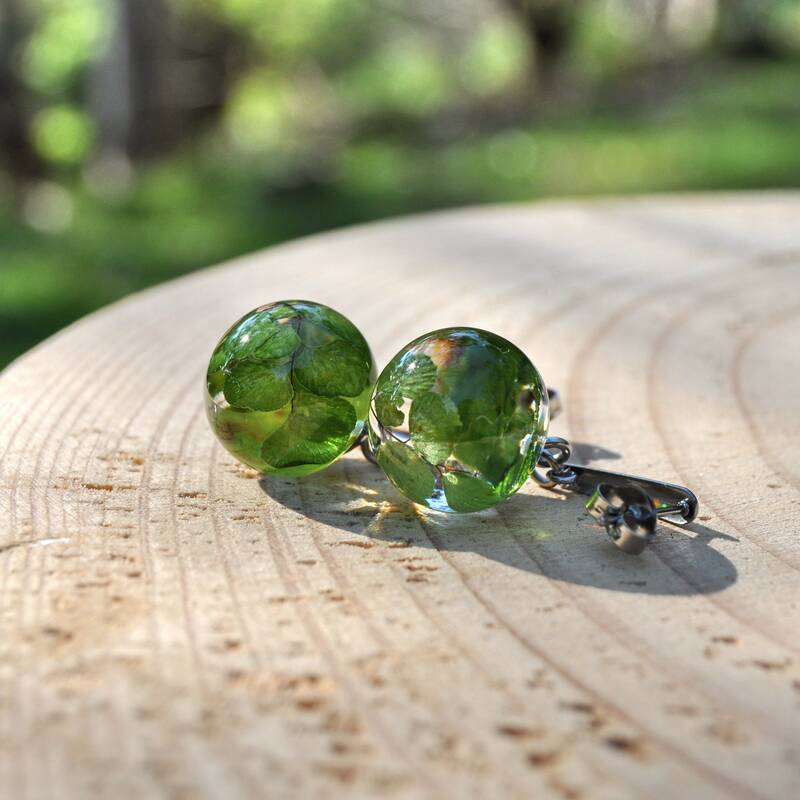 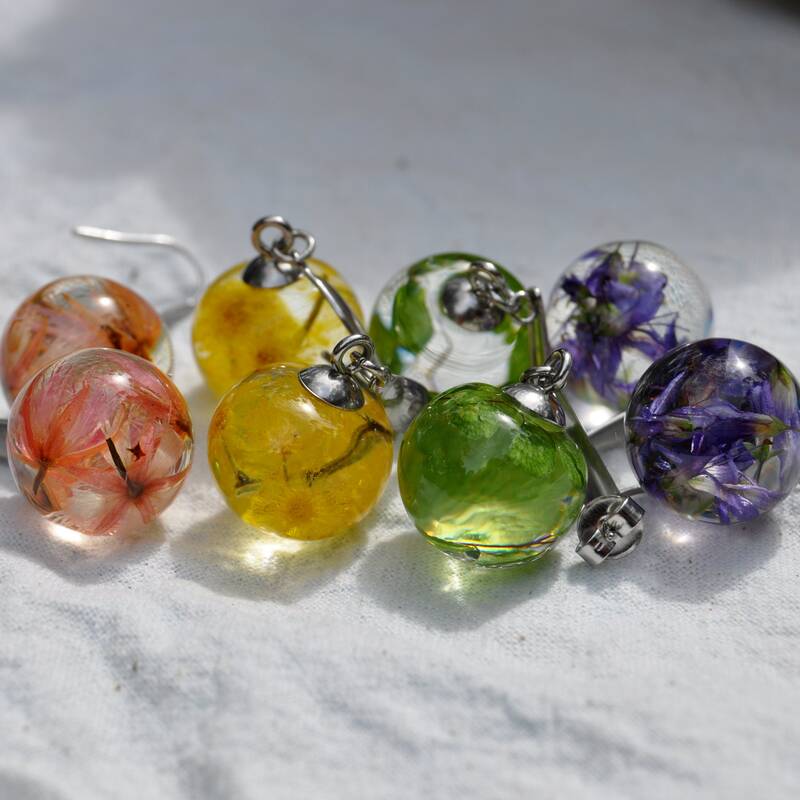 ♥ Size & Shape: The resin ball is a glossy semi-sphere (flatter on the top), and measures about 16 mm in diameter. 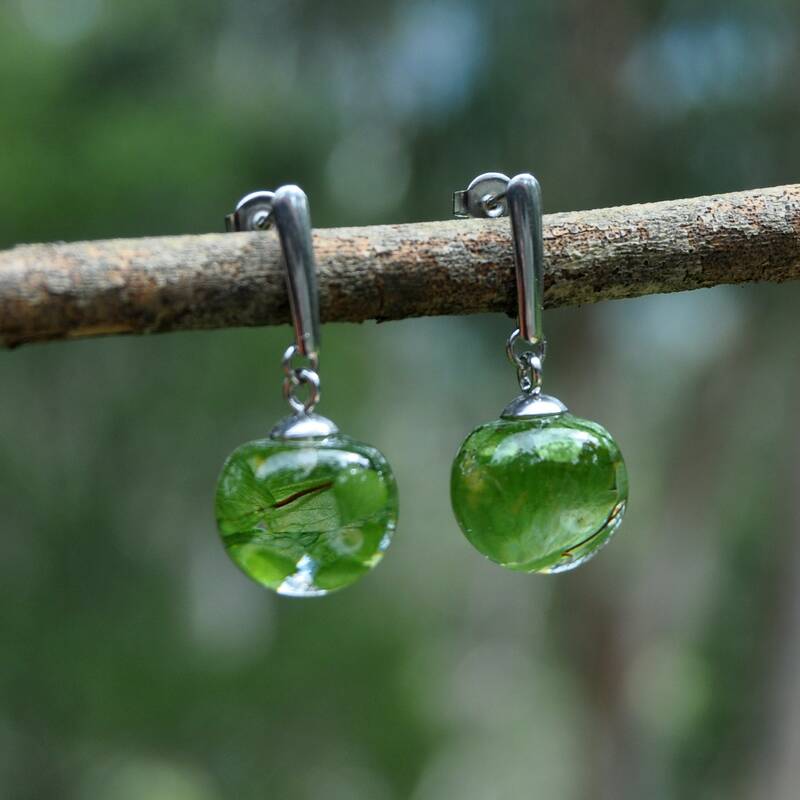 The total length of the earrings from top to bottom is about 35 mm.